The FAS method is a method for the use-case-driven creation of a functional architecture for systems, first published by Jesko G. Lamm and Tim Weilkiens at the TdSE conference in Munich, Germany, in November 2010. The conference paper is the definition and foundation of the FAS method. The method bridges Systems Analysis and System Architecture, facilitating the work in product realization teams. It is expected to improve re-use in development organizations, based on the notion that functional architecture descriptions are valid across multiple generations of technology. The method has attracted high attention and has been worked on continuously. 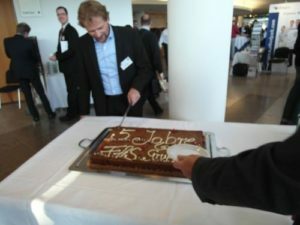 In November 2011, Artisan Studio tool support for the FAS method has been presented at the TdSE conference in Hamburg, Germany by Andreas Korff from Atego, Jesko G. Lamm and Tim Weilkiens. The FAS method has been successfully applied in multiple industry projects and it works great. In December 2011 Jesko G. Lamm and Tim Weilkiens chartered the FAS working group of the GfSE (German chapter of INCOSE) with the aim of further improving the FAS method and providing tool support for major SysML modeling tools. In January 2012 the working group published an open source plugin for the FAS method for the modeling tool MagicDraw and in April 2012 an open source plugin for the modeling tool Enterprise Architect, extending the coverage of supported tools. Today, the FAS working group coordinates research activities around the FAS method. See the Publications page for an overview of latest publications. Current research around the FAS method focuses on topics like variant modeling, layered architectures, functional-to-physical mapping and interactions between functions in complex systems, to mention a few. FAS working group of Gesellschaft für Systems Engineering, the German chapter of INCOSE.